Conagra Brands launched a NEW line of P.F. 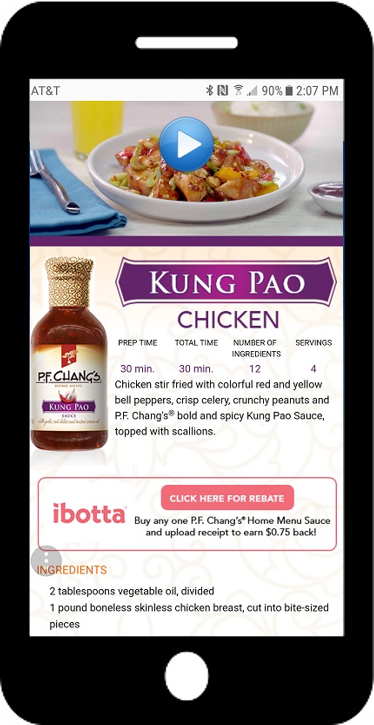 Chang’s Home Menu Sauces in summer of 2017. 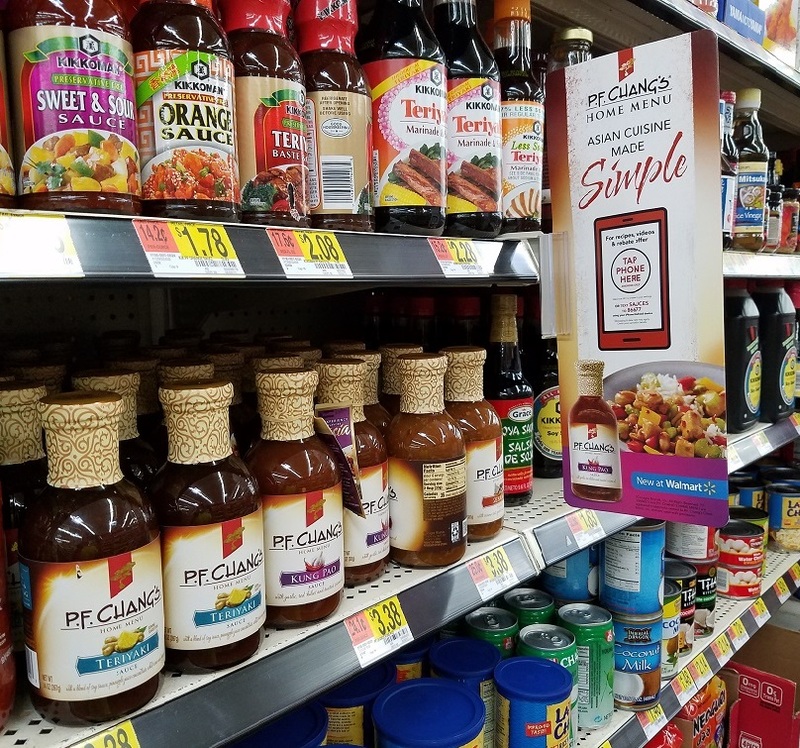 To gain awareness and drive trial, shelf blades were installed in Walmart stores featuring TPG’s Mobile Engagement Technology. Consumers could TAP their phone on the displays, or text the keyword SAUCES to a short code to instantly get a recipe, watch a quick “how-to-prepare” video and access a savings offer – right in store, right on their phones! New content was delivered each week featuring a different sauce and recipe to help promote the variety of new sauces available.